Back in March of 2009, Mishka opened their flagship store – 350 Broadway – in the heart of burgeoning South Williamsburg. Since then Mishka’s digs have at times hosted a variety of activities including art shows, various parties, crazy sample sales, celebrity drop-ins, and bitter impromptu Street Fighter 2 competitions. 350 Broadway went from being Mishka’s brick and mortar shop, to being one of Brooklyn’s hot spots. Exactly 344 days after, Mishka will be opening their sister store in Los Angeles and they hope to accomplish in Echo Park what 350 Broadway did in Brooklyn. 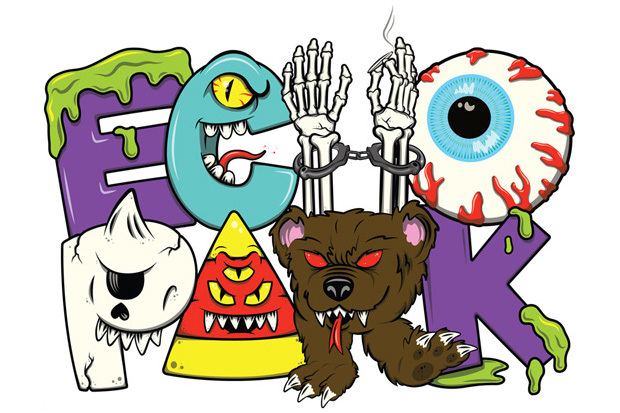 Mishka LA will open its doors at 1547 Echo Park Blvd. on February 20th with a clear mission to be a part of the growing transformation of the Echo Park neighborhood. Sorry for the late update on this one. My friend, Ysabel, just sent it to me a bit earlier…but if you’re in town and have nothing to do tonight, I’d highly suggest stopping by this exhibition. The paintings look great and well worth it. Enjoy! VICTOR CASTILLO: STRANGE FRUIT & MISS VAN: SHE-WOLVES at the MK Gallery.